If your eye is scarred and blind, don’t wait years before asking about scleral shells. Scleral shells have excellent movement, very good retention and are comfortable to wear in most cases. Scleral shells are more complicated to make than artificial eyes because they are very thin. He is a 31 year old giant who is also working as engineer in railways. His eye had become phthisical with partially closed lids. Aside from these issues the eye was healthy and had good motility. His family have a lot to cope with but now they are happy with the prosthesis and also searching a girl to whom he can get married. 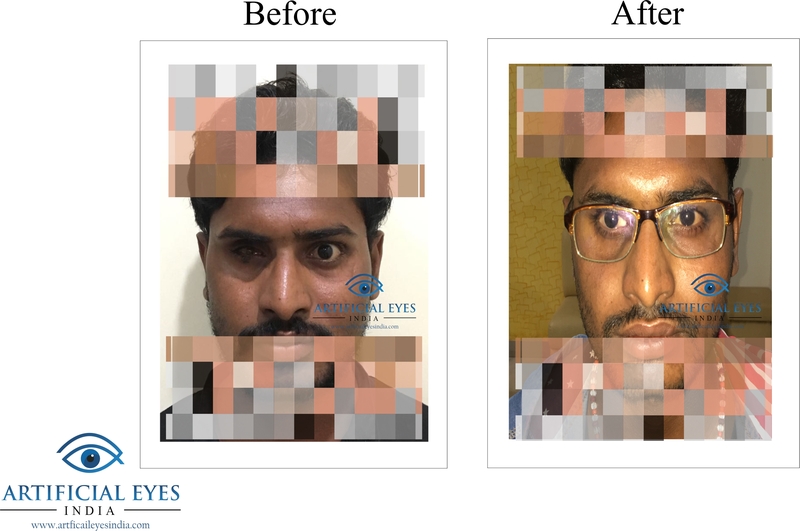 Artificial Eye India is one of the leading eye prosthesis centre in Bhopal. Get trusted advice from the doctors at Smile Gallery Dental Wellness Center and stay up-to-date. 2018 - Smile Gallery Dental Wellness Center. All Rights Reserved.